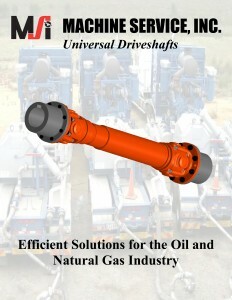 Literature | Machine Service, Inc.
Machine Service, Inc. is a market leader in the engineering, manufacturing and distribution of universal drive shafts. 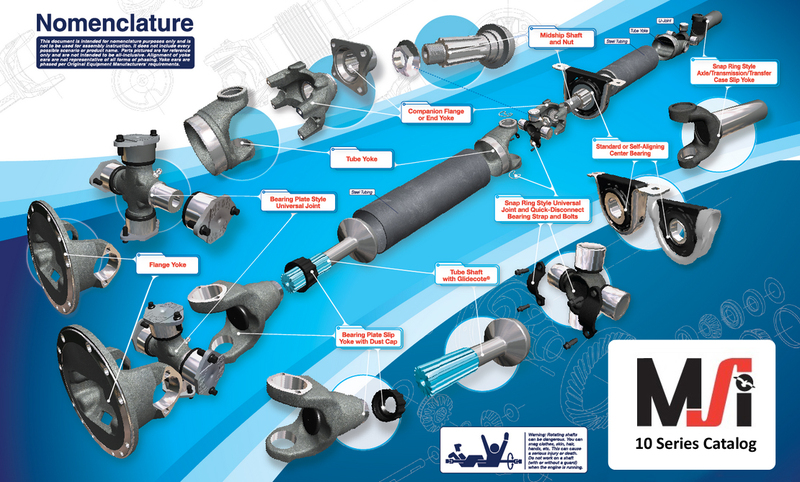 Our 60 years of experience will help solve your toughest application dilemmas. 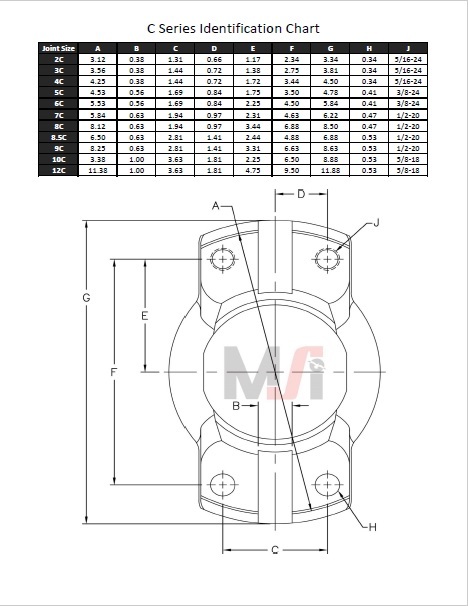 The following listings of standard sizes and designs are to be used as reference only. 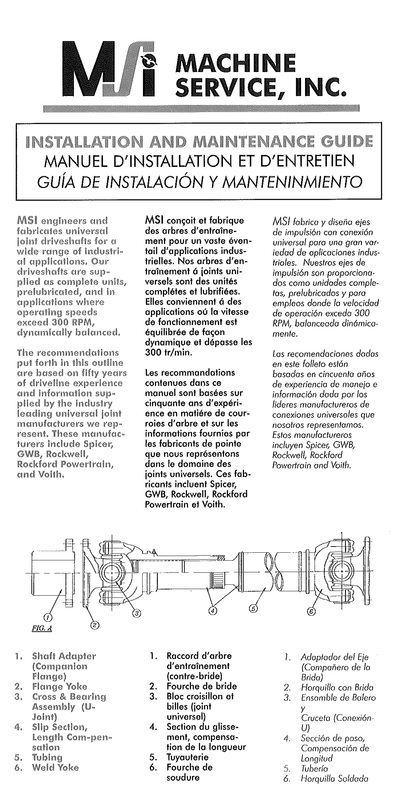 Verify all selections with MSI Application Engineering (see application data sheet, page 14). Other designs (e.g. 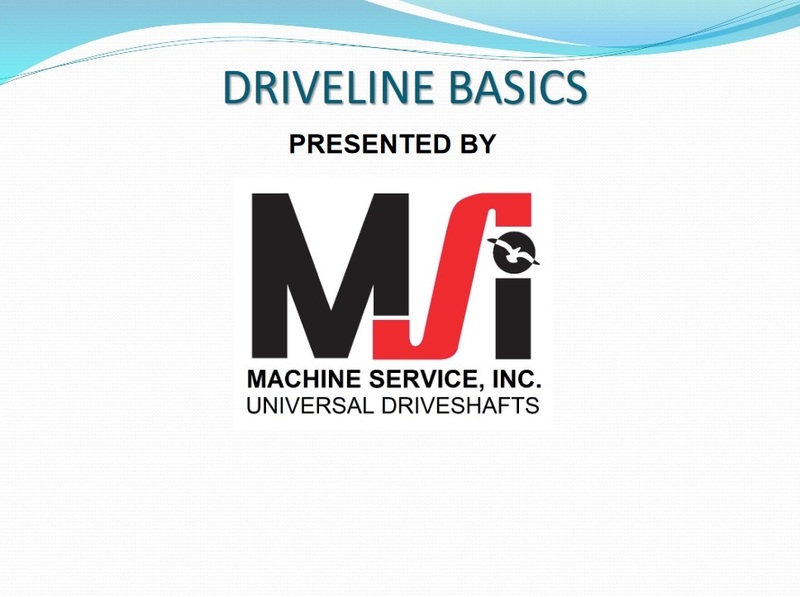 special angles, long slips, short versions, quick disconnects, torque limiters etc.) 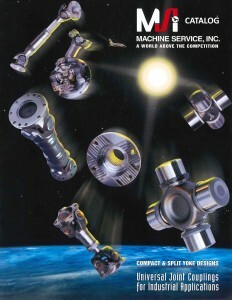 and custom machining are available at short lead-times. For installation and maintenance questions, please see our Installation and Maintenance Guide. only. For specific applications data consult a MSI engineer.